Motion/Safety Switches are sensors with an electrical contact output for rotational speed, cable pull, and belt alignment. Non-Contact Speed Switch is ideal for detecting the unwanted slowdown of process equipment. 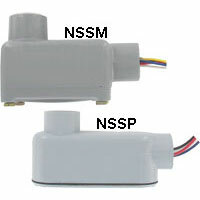 Contain a sensor and switching electronics in either a heavy duty, explosion-proof cast aluminum housing. 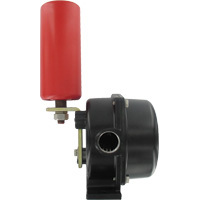 Direct-Contact Speed Switch is a compact switch designed to include all mechanical and electronic components. 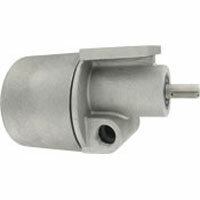 Operates in a clockwise or counter-clockwise direction and mounts in any position. 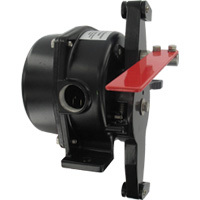 Belt Alignment Switch is a rugged and reliable conveyor belt alignment switch. Compact die case aluminum enclosure. Easy installation. Equipped with two micro switches. Cable Pull Switch is designed to provide a switching system to isolate the power to the conveyor system or other similar process equipment in event of a shutdown. Compact and easy installation.